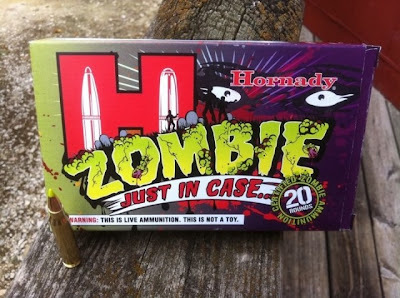 Hornady's new promo is alluding to something just out of our view. Could it be Hornady Branded Zombie Ammo? In late September the picture below started circulating which many came to believe was a fake (photoshop or clever fan). I guess we will find out more on October 14th.